With Microsoft Lumia 532 and 532 Dual SIM as the most affordable Windows 8.1 phone under $100, Microsoft also launched 4 inch dual core powered Lumia 435 smartphone. This Lumia 435 will be $12 cheaper than the Lumia 532 phone and will also be available in Bright Green, White, Black and Bright Orange color variants. 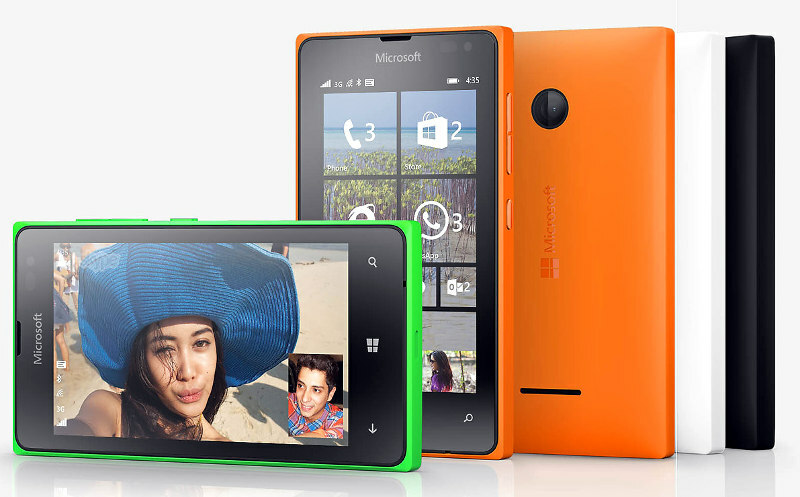 Lumia 435 will be priced at 69 Euros or USD 81. Arriving in India we can expect price tag of Rs 5500. It will be launched in Asia Pacific, Europe, Africa and Middle Eastern countries starting next month.